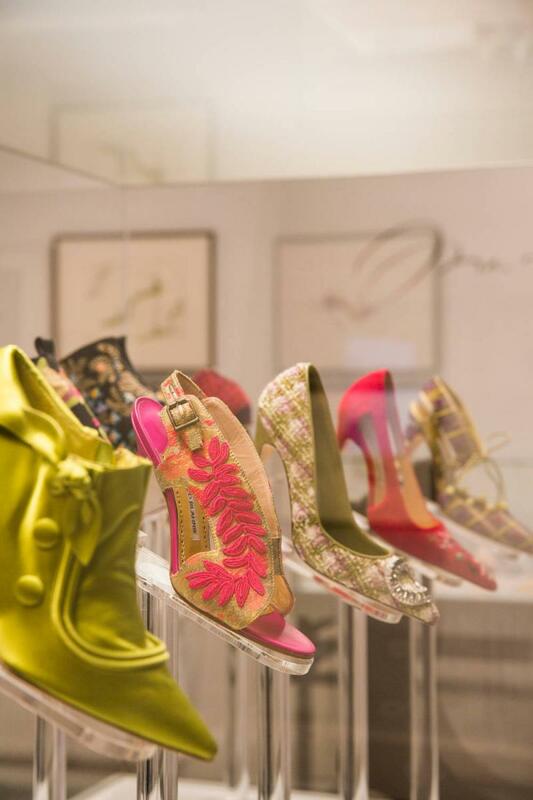 Whilst ‘Manolos’ are universally associated with one of the world’s most influential women’s footwear designers, it is a lesser known fact that his men’s collection existed as early on as his stilettos. 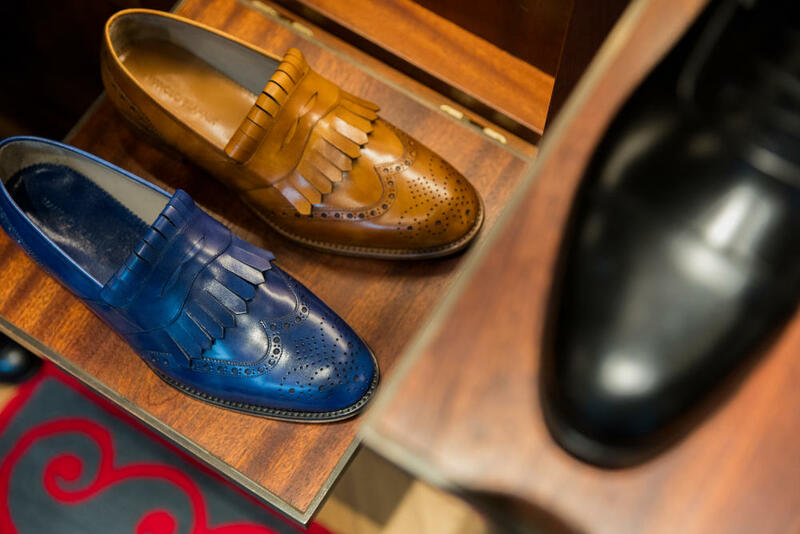 Although on a smaller scale to the women’s edit, Manolo’s men’s shoes have been present at London’s Old Church Street shop since the 1970’s. 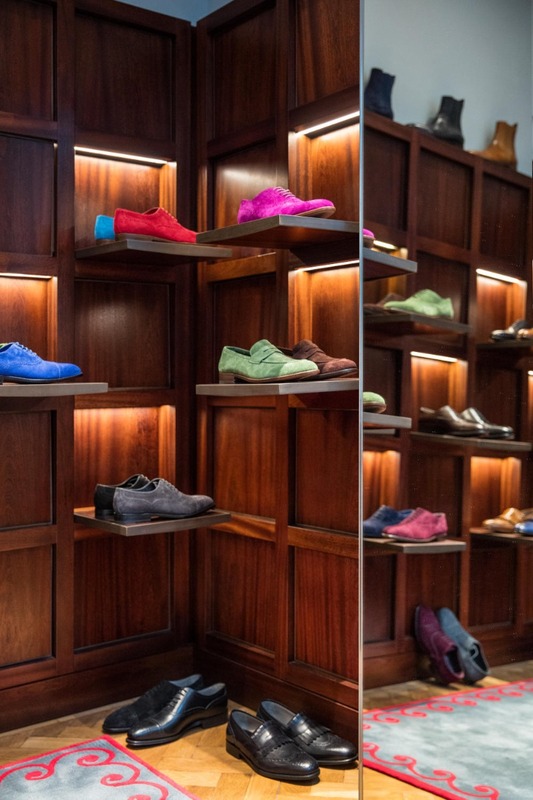 With London in the colourful light of the seventies, the Chelsea shop became a go-to destination for the who’s who and word soon slipped out about the incidental symbiosis of Manolo’s ‘his and hers’ footwear. 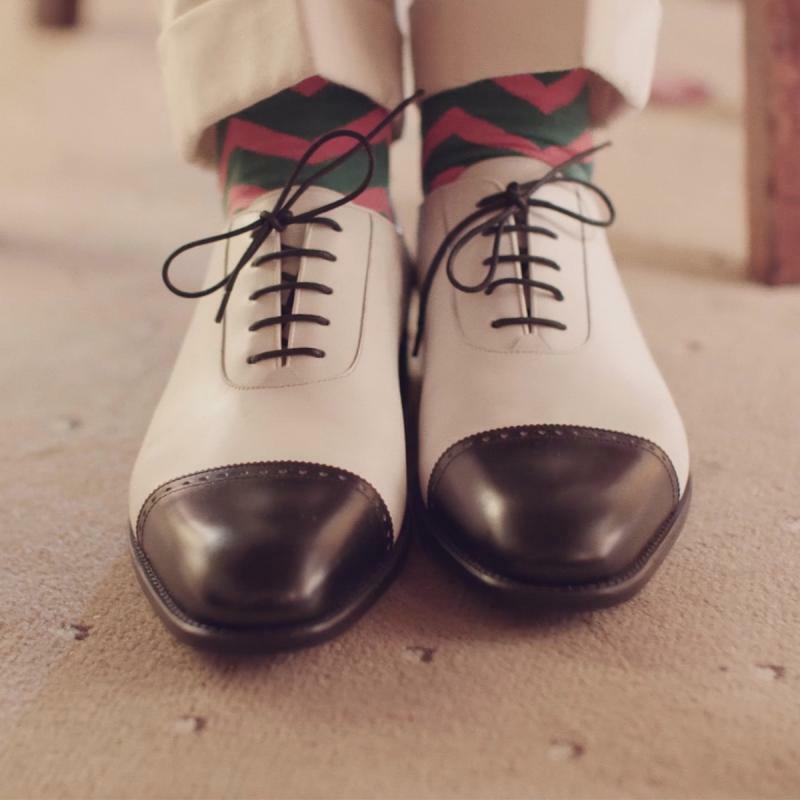 His first few pairs attracted a new demographic of fans, beginning with his friends, David Hockney and Bryan Ferry. 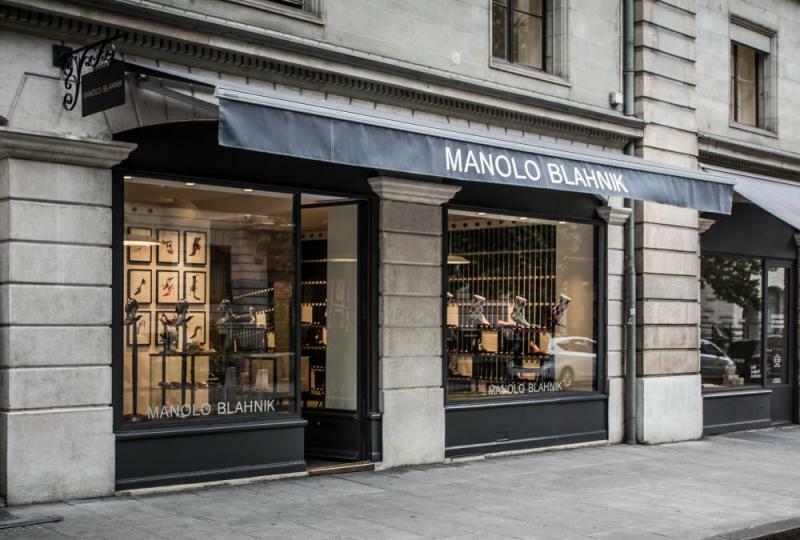 Fast forward to July 2018 where we see the launch of a brand-new men’s collection, swinging the spotlight back on to the man behind Manolo. 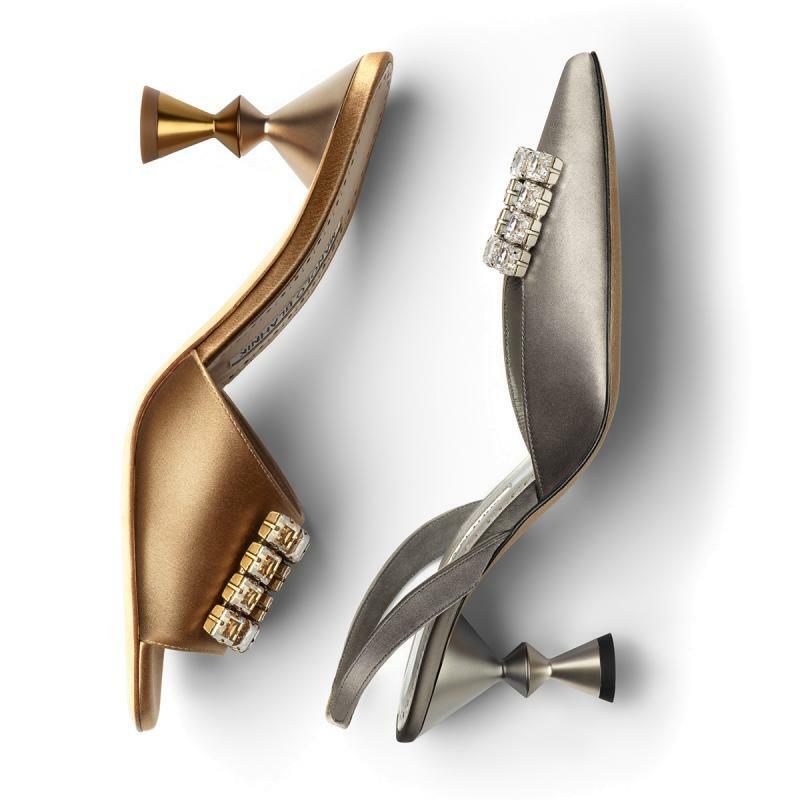 Without fail, Manolo’s unique and bright sensibilities are injected into the collection, bringing to life every stitch, tassel and trim. 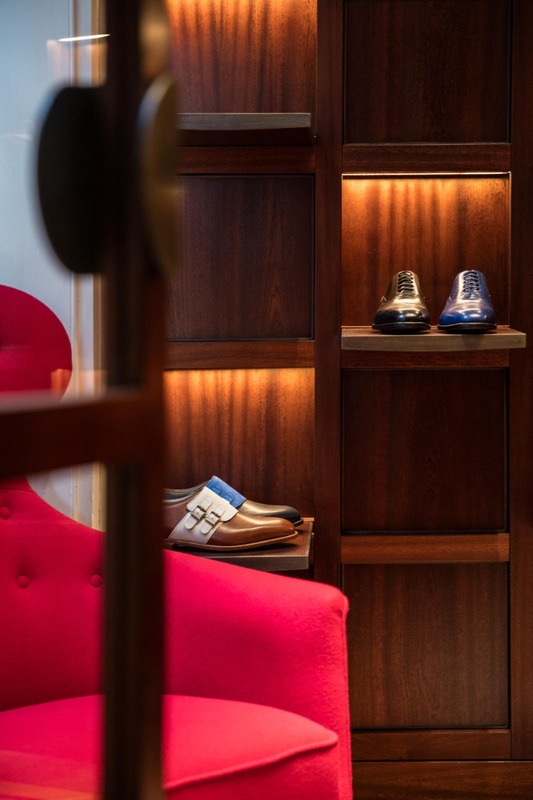 With quality, durability and attention to detail paramount of each of his designs, Manolo worked with a selection of family-owned factories in Italy who specialise in men’s product. 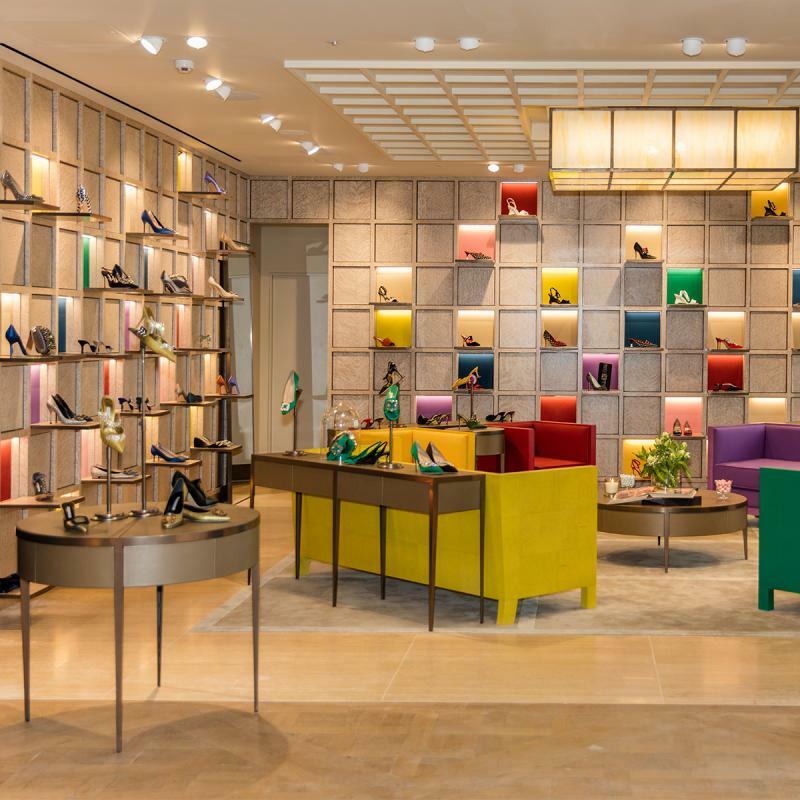 Producing over 30 designs in a spectrum of colour ways, Manolo was meticulous in partnering with artisans whom he could entrust with the ultimate task of transforming sketch to shoe. 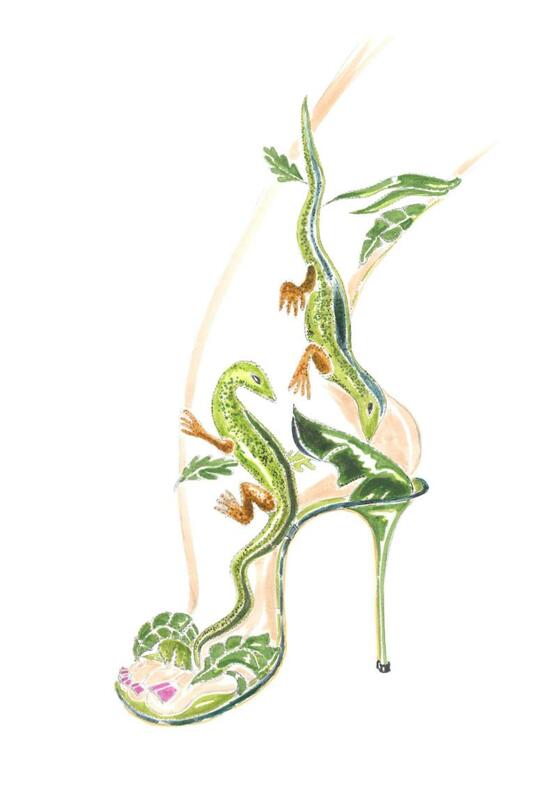 The stories behind the collection, true to Manolo’s style, are gathered from all ends of the earth. 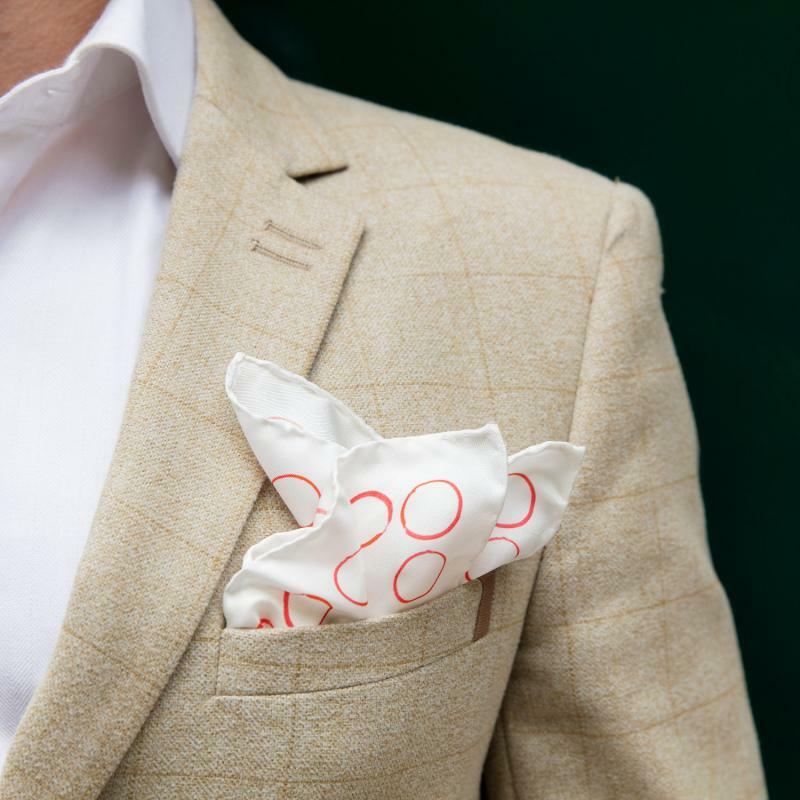 At the forefront of the new silhouettes is Witney, a timeless oxford inspired and named after the village in Oxfordshire. Witney is the main new feature of the collection, available in a spectrum of colours to complement every manner and mood. 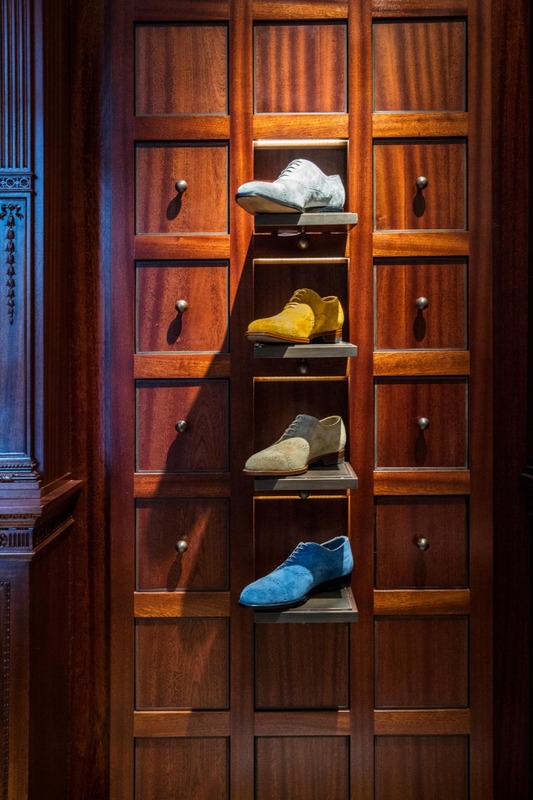 The new collection would not be complete without a Chelsea boot. 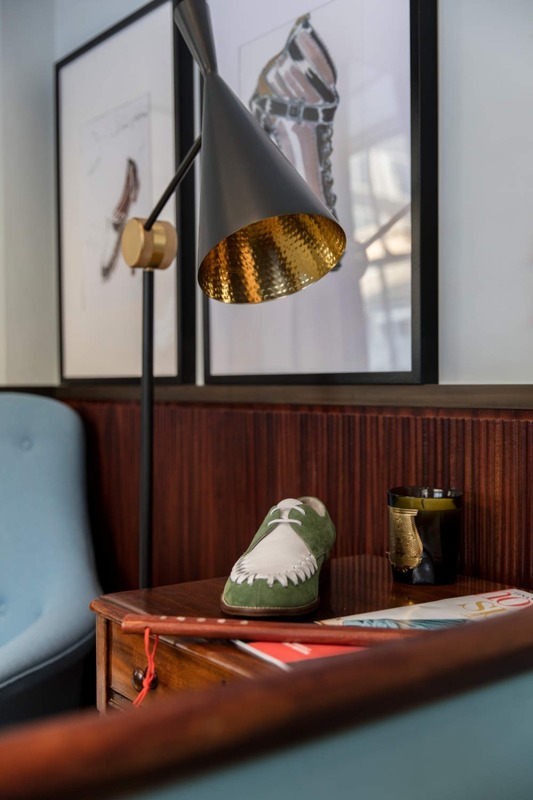 Capturing the musical zeitgeist of the time, Manolo draws inspiration from cult British bands such as The Rolling Stones and The Animals who adopted this boot as part of their signature, effortless look. 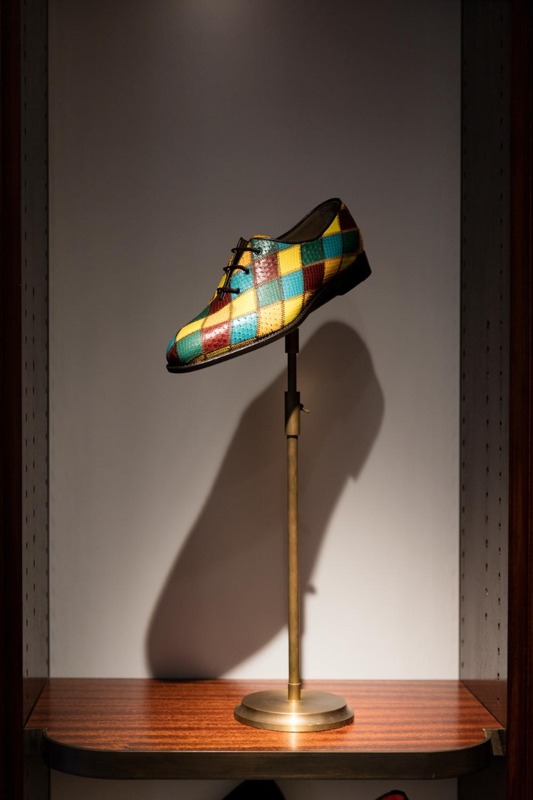 Meanwhile, across the pond, stylish men of Hollywood’s heyday Marlon Brando and Gary Cooper titillate Manolo’s imagination. Penny loafers adorned with fringes and tassels reflect the refinery and elegance of Cooper’s sartorial style. 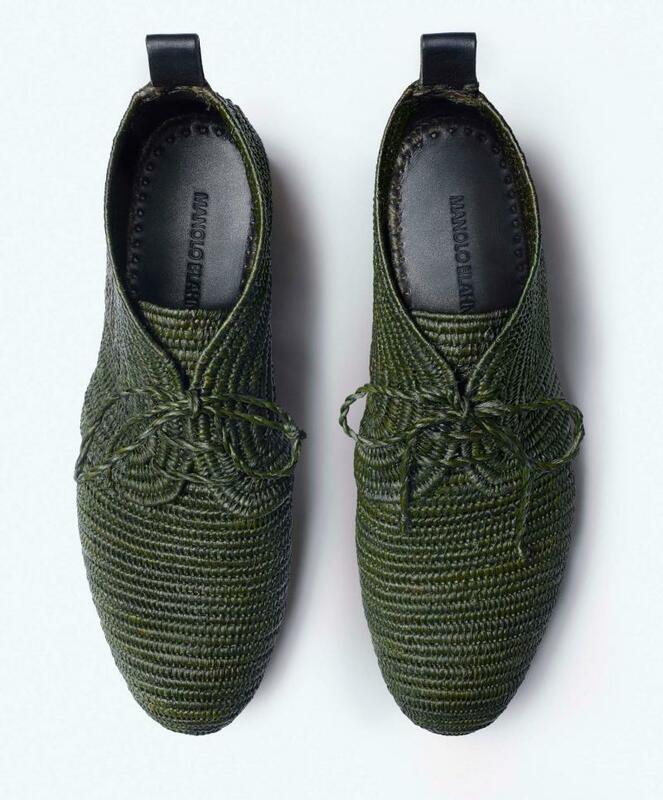 In juxtaposition to Cooper’s polished form, the rugged rebellious nature of Marlon Brando inspires vivid, patchwork snakeskin lace-up shoes as well as classic lace-up military boots influenced by The Wild One, Brando’s 1950’s box office hit. A major influence on the collection is Africa and Morocco. 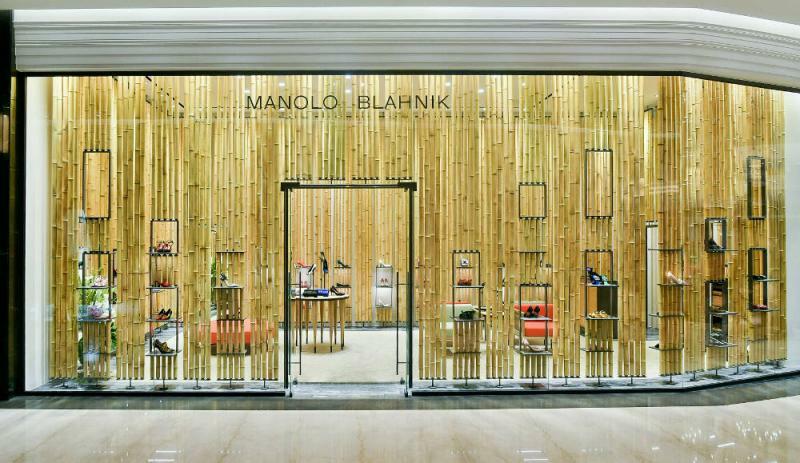 Daydreaming of the heated desert landscape, Manolo designed an assortment of lightweight, breathable raffia shoes. Hand woven in Morocco the raffia is combined with raw supple leather in an array of earthy tones, perfect for an afternoon stroll in Marrakech. 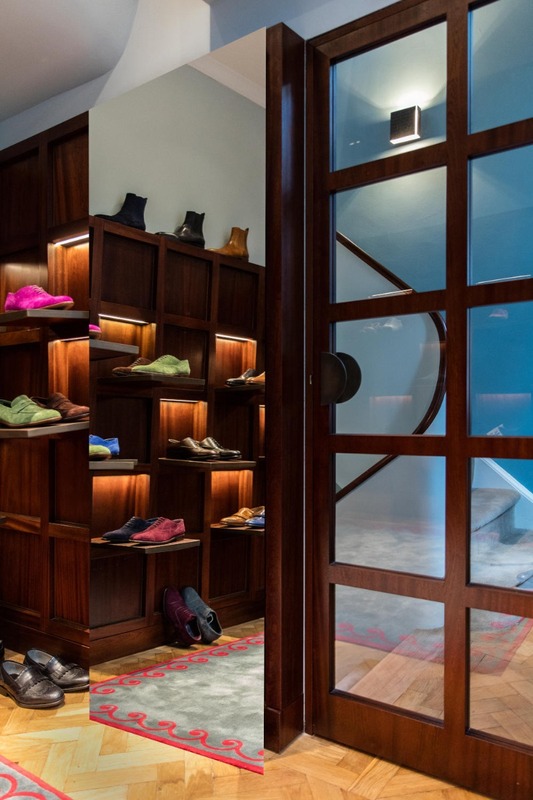 The new collection will debut in tandem with the opening of Manolo Blahnik’s first ever men’s boutique in the heart of London. 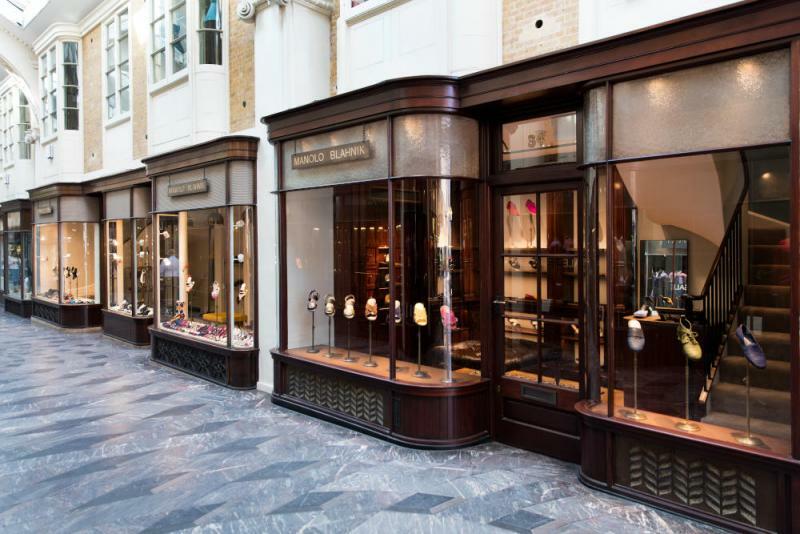 Alongside his flagship women’s store, which opened in 2016, the men’s shop will also sit in the quintessentially British Burlington Arcade. For more information and opening times please visit our store locator.